Host your next special occasion at the North Carolina Zoo! 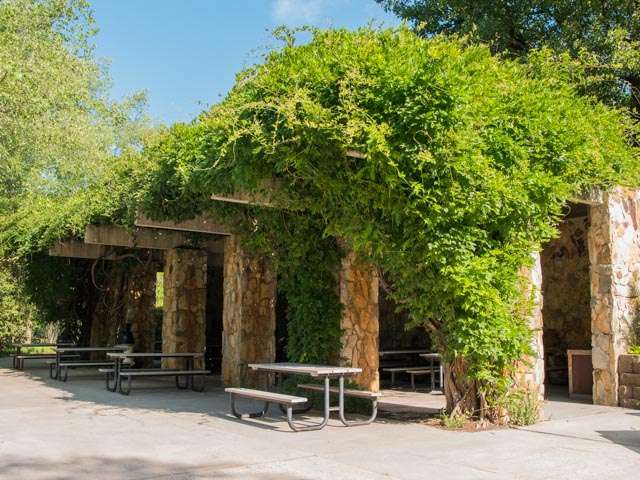 The beautiful, natural settings of our picnic areas enhance gatherings from 15 to 3,000 people. 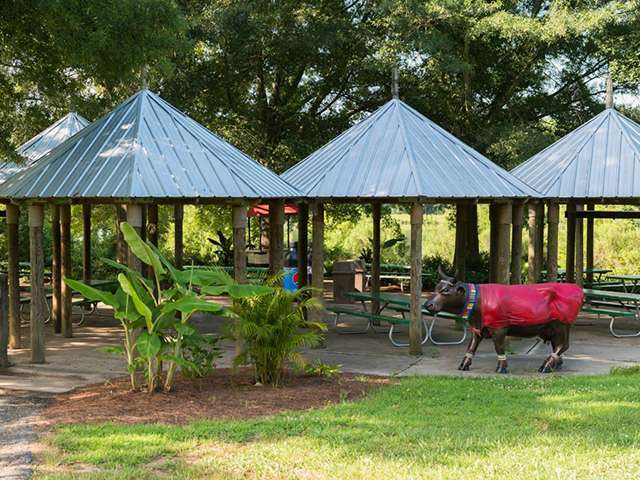 Our picnic areas are available for almost any event, from birthday parties to company outings to family reunions. The picnic areas are available for rent on a first come, first served basis. Call 800.488.0444, ext 7700 or 336.879.7700 to discuss pricing if you are interested in renting one of these locations. Zoo staff is available to assist you Monday through Friday from 8:30 a.m. to 4:30 p.m. ET. Create lifelong memories and celebrate your child’s special birthday with a fun and educational party at the Zoo. Overlooking Africa Lake and near the entrance to Africa, the peaceful, natural area we fondly call Hippo Beach showcases nearby hippo statues and accommodates as many as 75 guests. Half-day rentals (11 a.m. to 2 p.m. or 3 p.m. to 6 p.m.) or full-day rentals (9 a.m. to 5 p.m.) are available. Picnic tables and restrooms (ADA compliant) on site. Additional table and chair rentals available. Minimum 15 guests required for on-site catering. Also overlooking Africa Lake and near the entrance to Africa, Lakeside provides gorgeous, tranquil views of nearby wildlife and accommodates as many as 150 guests. It has 14 large picnic tables, seven of which are covered. Half-day rentals (11 a.m. to 2 p.m. or 3 p.m. to 6 p.m.) or full-day rentals (9 a.m. to 5 p.m.) are available. Restrooms (ADA compliant) are a short walk away. Additional table and chair rentals available. Minimum 15 guests required for on-site catering. Once an old homestead, Oak Hill offers the perfect setting for an old-fashioned picnic, large enough to comfortably host as many as 3,000 guests. Only full-day rentals (9 a.m. to 5 p.m.) are available. Tents, tables and chairs also may be rented. Restrooms (ADA compliant) are nearby. 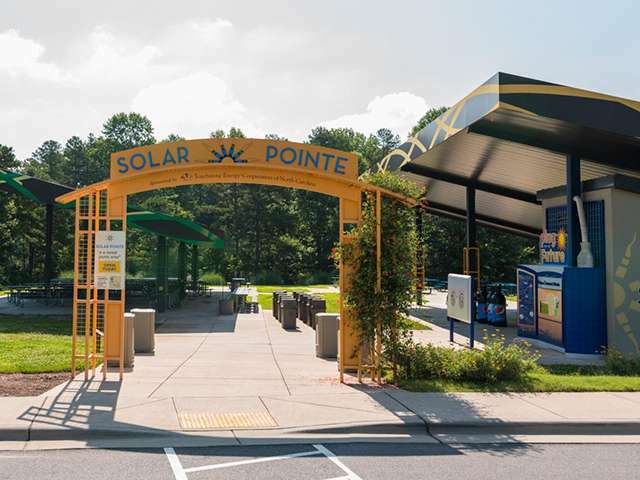 Beautifully landscaped and eco-friendly, Solar Pointe rests at the south end of the North America parking lot, easily accessible to the North America Plaza. It consists of three pavilions -- Green, Yellow and Blue -- that are named for the color pad on each pavilion's roof. Combined, these 9,600 square feet of solar collectors can generate as much as 104 kilowatts per hour of electricity. This rental location has a smoke-free designation and is versatile in its use and setup. 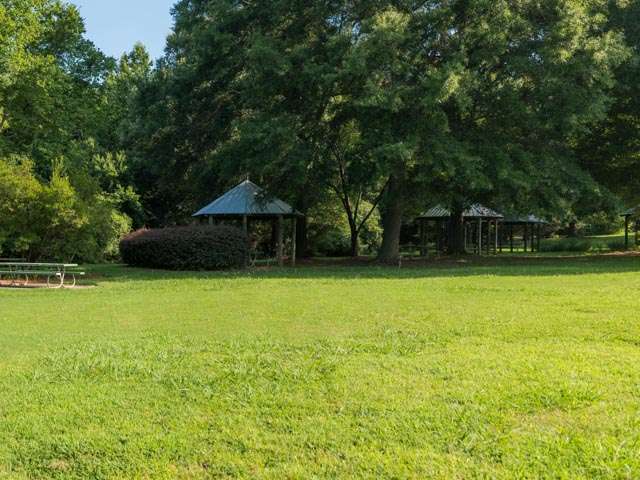 The pavilions can be rented for $500 each or the entire complex for a daily rental of $1,250. The Green pavilion includes 35 permanent picnic tables; the Yellow and Blue pavilions do not have picnic tables. Table and chair rentals are available. Restrooms (ADA compliant) on site.